This full-flavoured Rhône from the ripe 2017 vintage is made mainly from grenache with small amounts of other varieties including syrah. Cool breezes coming off the mountain give this an attractive and juicy fruit flavour. Nice and ripe and balanced. Jaboulet wines rarely seem to disappoint (at least in recent years) and this is great everyday wine. So fresh and wears the 14% alcohol very lightly. Pretty good and similar to many of the other Spatburgunders I’ve tried recently - treads softly on the tongue and has lovely aromatics - both fruity and herbal. However, still not as good value (or as sensuous) as the Hanewald-Schwerdt Kalkofen. Think that’s a contender for wine of the month (in a good month). So after a ropey period starting in the late 90’s Jaboulet are recommended again? From my limited experience yes, but from comments on the Rhone thread, this seems to be a common opinion. I’ve had that Spatburgunder in my wish list for a while, a bit steep for me but have enjoyed every Aldinger wine I have tried so far. I guess it depends if you like them correct and a little austere or more 'tarty" and hedonistic! I’ll be sorting through the European “haul” this evening with a cup of tea ! 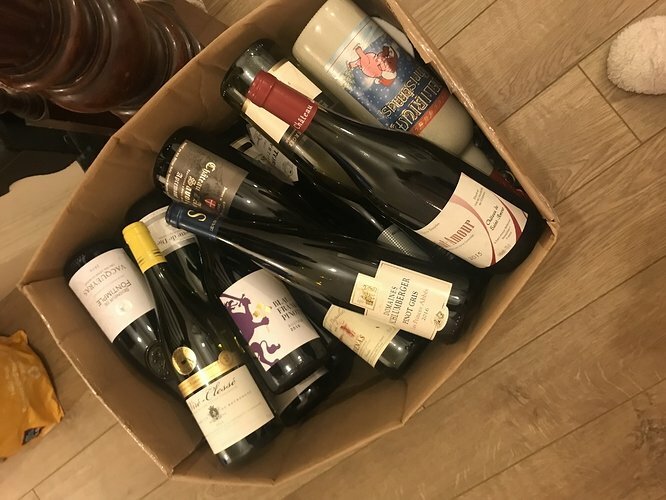 Just a bunch of everyday drinking wines … that I probably don’t need as I don’t drink everyday …! I clearly have a fear of running out and believe me that’s not going to happen anytime soon . There must be a name for our affliction! I wouldn’t mix that bottle of Delerium Tremens with wine, unless you have very high tolerance! Tonight, yet another delicious offering from South African Adi Badenhorst. 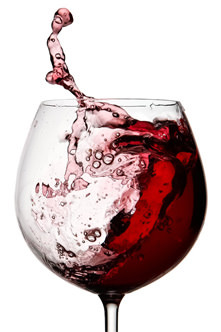 The man can make wine! 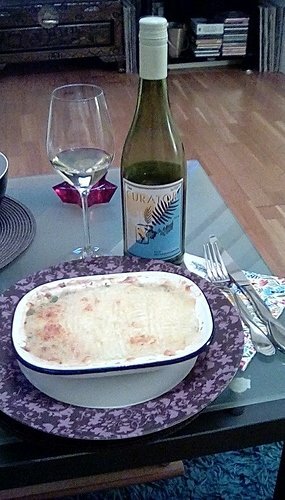 This is a 2015 white blend of Chenin Blanc, Chardonnay and Viognier, and each brings something nice to the table. 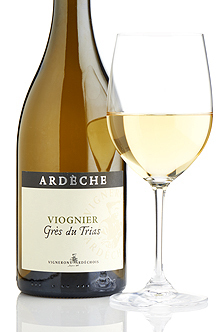 The nose is floral (orange blossom, perhaps) the palate starts with ripe fruit (pineapple, peach, citrus) followed by a bit of crème fraiche mixed with mild honey, and finishes with the zestiest freshest orange. Good structure, and medium length on the finish making this absolutely quaffable. And at £9.75 – very good value for money. 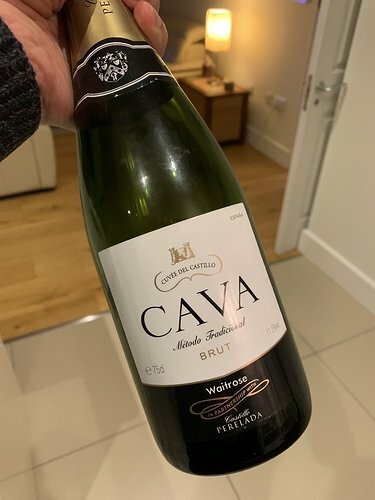 The husband reckons we’re safe to drink it now, then. The friends are attractive, even if we’re not. Hoping the fish pie is as good as the wine! The photo, however, is dismal. 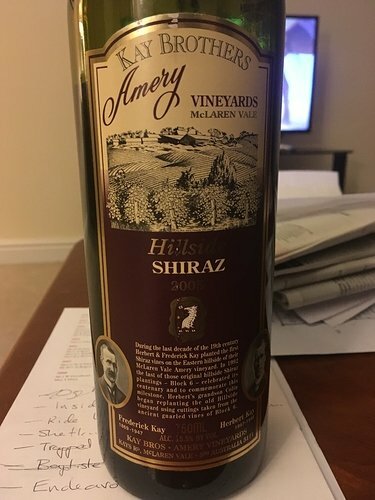 Drinking my last bottle of this and just re-read the reviews. I agree with the earlier almost too dry comments, that’s what I previously thought, but now find it seems to have softened a bit. 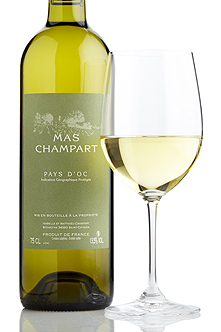 Floral and herbal aroma, and a lot of green apple on the palate. Going well with pan-fried mackerel and salad. Seems a lot easier to drink than it did a year or two ago. Is this a case of ipso facto? I was told by a McClaren Vale grower(forgot who exactly) about 10 years ago that it’s hard to keep the alcohol levels down these days, without having unripe grapes so 15% is quite normal, he said that back in the 1970’s wines that were 13% are now at least 15% due to climate change. Hope that the fruit is balanced with the alcohol. 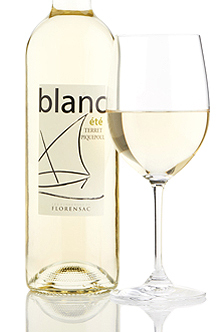 Made from terret and picpoul, two Languedoc grape varieties that thrive in the heat, this is bone-dry, light and instantly refreshing. Fittingly, the ‘été’ in the name means ‘summer’. Very light, crisp and dry. Lemon zest and honeysuckle. Not bad at all! I have to say I am very taken with the mondeuse grape. This one is definitely best young; very fruit forward with soft tannins and that lovely syrah pepper, only more so. There’s also a touch of something savoury but not quite sure what. Probably not enough structure to age but just lovely right now. Another one I might need to bring a couple of home with me. 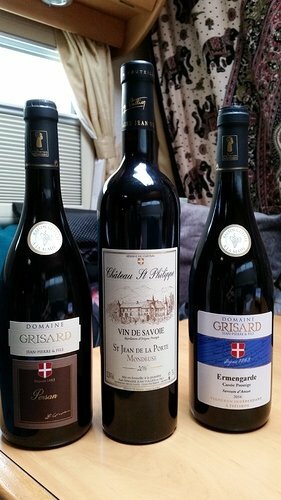 So… Have had these two wines delivered today after falling for them at the recent Rhone tasting in Leeds. This Viognier is delicious - typical, but fresh tasting and surprisingly long for the price point. I also think this Syrah is lovely. It has been referred to as having a ‘feral’ nose - well if that’s feral, I LOVE it! Like a cross between a Rhone wine and a Beaujolais - very gluggable! 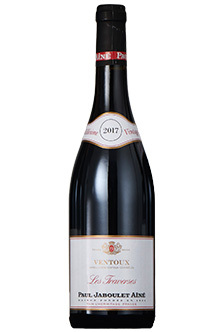 This is a northern Rhône syrah with some of the fruit coming from slopes around Cornas and Saint-Joseph. Partly raised in foudre cask, this has the polish of something grander but with the vibrant, open fruit of youth. Simply delicious in 2017: ripe, fruity and ever so easy to drink. Both wines are excellent examples of great, tasty TWS wines, ready for immediate drinking.